Lytham & St.Annes on the Sea Lancashire - Local History - Starr Hills Hospital, Ansdell, 1916. YOU ARE HERE > HOME PAGE > WARTIME & MILITARY > The First World War 1914-18 > Starr Hills Hospital, 1916. Starr Hills Hospital, Ansdell, 1916. 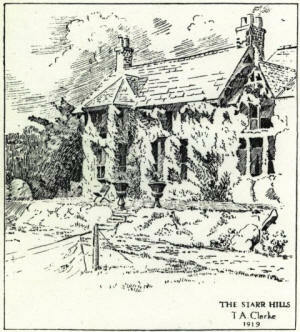 "Starr Hills", Clifton Drive, Ansdell, a Voluntary Aid Detachment Hospital during the 1914-18 War. This was the house built by the artist Richard Ansdell; today it is a nursing home.